I love these little seasonal sets that Lego puts out. They’re always displayed near the registers in the Lego stores and I have to practice some restraint to not toss one onto the pile every time we go. 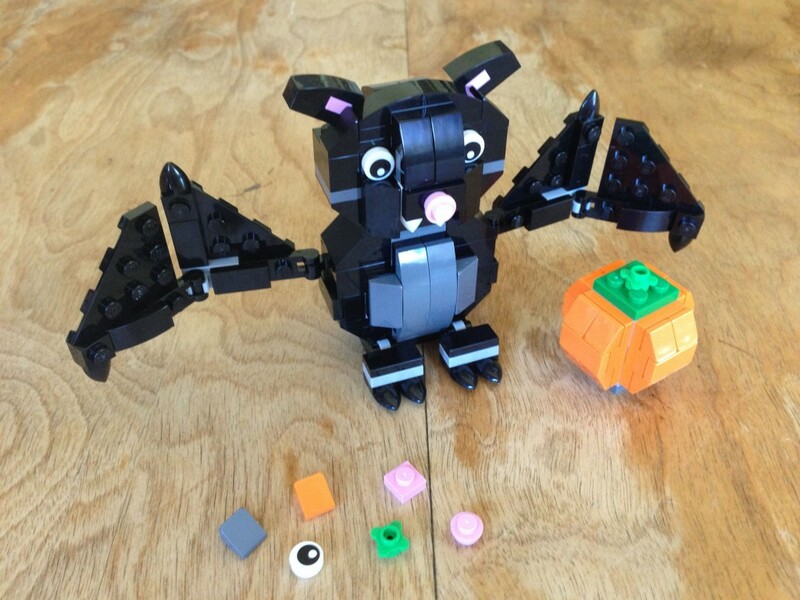 This cute little bat and his pumpkin were a bit too much to resist. The piece count on this set (156 + 6 extras) is nice and high for a $10 set. This means that the little box is fuller than I expected. 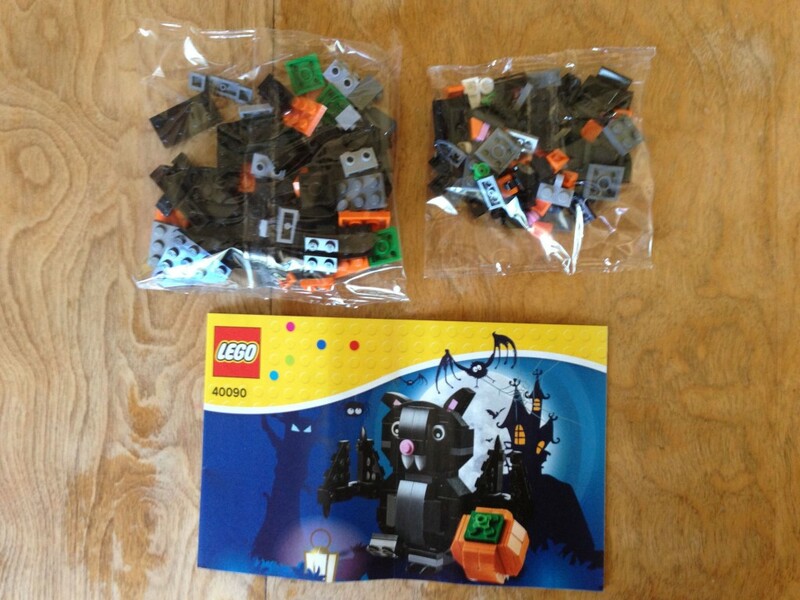 The parts come in two bags, roughly divided by the size of the elements. 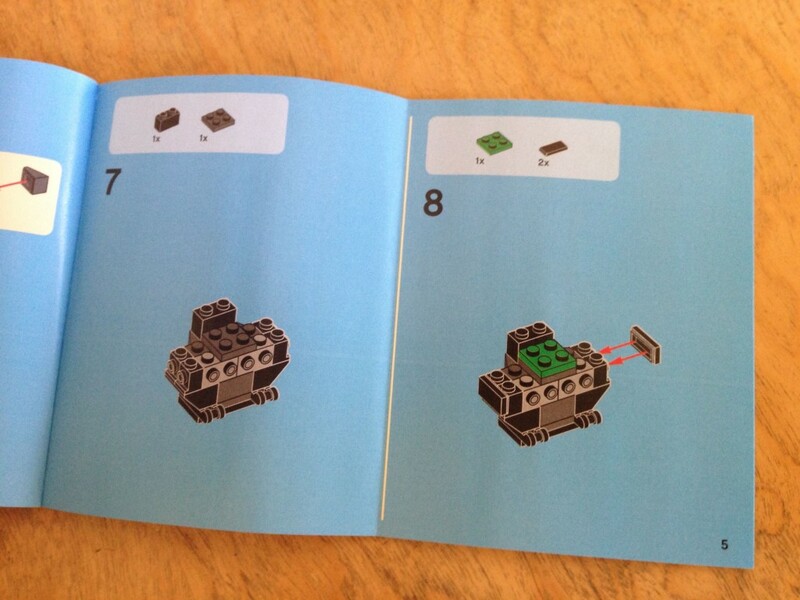 The instruction booklet is simple and unadorned, but clear enough that I never had a problem telling the colors apart. 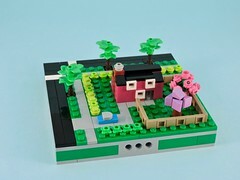 The build is simple but adorable. Like most of the other animals in this series, the body is mostly slopes and snot. The palate is neatly monotone, but balanced nicely by the orange pumpkin and the pops of pink on the bat. 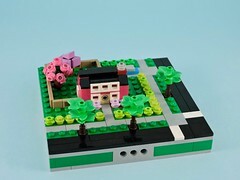 A fun little build. 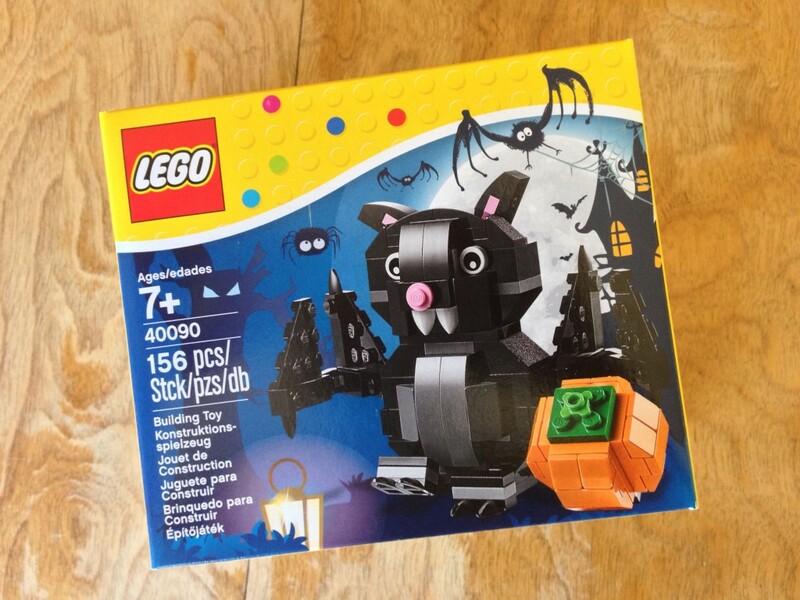 What is interesting about this set is that it just screams to be a parts pack. So many of the little black half bows and orange cheeses. Add to that a nice selection of snot elements and some useful clips and bars. With a price per piece below 6.5¢, this is a pretty guilt free little set. Pick one up and enjoy!